Are you interested in starting a real Mini Importation Business; and turning it into a thriving business in the shortest time possible? If your answer yes, then this information is for you. Very soon you are going to learn how you can start and successfully run a Mini Importation Business in Nigeria with as little as NGN10,000 or even less and turn it into a thriving business that will generate huge income monthly, all from the comfort of your bedroom. In this business, there is no need for business premises; you have nothing to do with customs procedures; you don't need huge capital before you start. It is an ebook that is packed full of valuable information on mini importation for you! You will get to learn how to import high-quality products from all over the world for as much as 60% below wholesale or 90% off retail store prices. What's more, you'll learn the best-kept secret of successful importers, that you don't have startup capital is not an issue. In this guide, I will show you how you can easily import from China and from other parts of the world completely risk-free using the concept called O.P.M meaning other peoples' money. The world is indeed becoming a global village. Who would have thought that people like you and I (who do not have a fat bank account) can now import goods directly from overseas suppliers without having to travel anywhere but at the comfort of your bedroom? Before I used to think that the international trade was reserved for the government and rich big importers who had strong financial muscles and connections with manufacturers and suppliers abroad. This ebook reveals how small-scale businessmen and entrepreneurs like you and I can become part of the import business with little capital investment. With the knowledge contained in this ebook, you too can import products at low wholesale prices and sell them for a much higher profit. 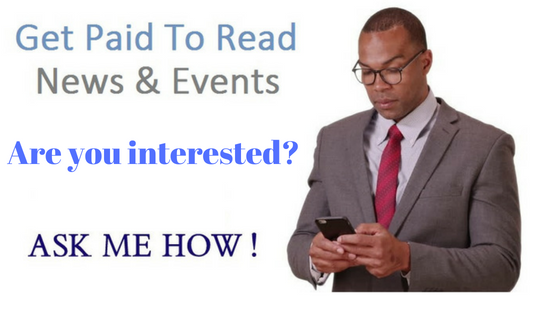 The ebook gives you the details of all you need to know to venture into this importation business. By the time you’re done reading this ebook, you’ll know everything you need to know to become an importer and international businessperson! The ebook is not talking about popular e-commerce websites like Alibaba and the likes only, that you are already familiar with. While we mentioned those ones and explained how you can buy things there too, we took a step further to give you a secret website where you can get things at a ridiculously cheap price, far cheaper than when you buy at aliexpress and the likes. As a matter of fact, the aliexpress merchants also buy their products from this website before reselling to you on aliexpress. The internet has really revolutionized businesses around the globe and brought down the walls which used to restrict access to manufacturers in other parts of the world. Improvements in transportation and logistics now make it possible for small businesses with little capital to import smaller amounts of products at lower prices and ship them at low shipping costs. With this ebook, entrepreneurs like you and I can now enjoy the same low wholesale prices that the big importers have enjoyed for a very long time. Before we go any further let me make it clear that many of the products and suppliers that shall be introduced to you in this ebook are made or based in China. It's a guide that teaches how to import goods from China with a little start-up capital. The first thing I import was less than NGN5000, which means I started my importation business with less than five thousand naira. Can you imagine that? And guess how much I sold the item, NGN11,500. You may be saying that I'm wicked or greedy, right. Well, that's the amount other people were selling the item in Nigeria at the time. It was a medical equipment, and you know the medical equipment is not cheap in Nigeria. As you may already know or you may not know, most products in the world today are manufactured in Asia, particularly China. Toys, home appliances, accessories, computers, laptops, mobile phones and even branded products like Apple’s iPads are made in China. This is because the cost of labor is far cheaper in China than in the Western world. So, those Western companies go to China to manufacture their product with the right specification. By the way, who told you that Chinese products are fake, the Nigerian market is filled with their fake products because of our greedy businessmen. The Chinese man will manufacture according to the specification you give to him. Apart from food products, China is today the world leading source of all the hot-selling and fast moving consumer products we have in our markets today. Why do I have to say all these? It’s because many people including you and I have come to believe the erroneous assumption that Chinese products are of low quality. While this may be true to some extent, I don’t think we should blame the Chinese manufacturers at all. After all, China also produces many of the high-quality products in America, Europe and other developed countries of the world. If our governments could enforce strict quality and safety standards for products coming into the country just like the USA and other developed world have done, the Chinese manufacturers would have no choice but to comply. However, with this ebook, you don’t have to worry about importing low-quality products. In the latter part of this of the book, I share with you the secrets of finding high-quality products and suppliers that meet US and European standards. 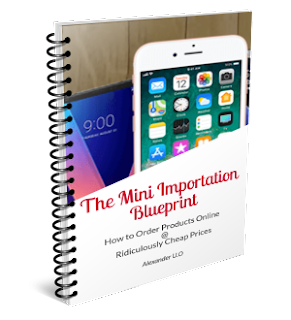 In this ebook, I will reveal to you all that you need to get started in the importation business. You can now join the new and growing league of small businessmen and women who can now import products at low wholesale prices directly from overseas suppliers and manufacturers. By the time you’re done reading the ebook, you would know the best and most trusted places to buy from, how to confirm the quality of products, the payment process and lots more. You will learn about all our top recommendations as online marketplaces that sell products at low wholesale prices and sell them to make huge profits in Nigeria. By the time you are done reading this book, you'd be armed with a first-hand knowledge of how you can make payment for goods in any part of the world. Recall that, payment was one of the reasons why it was nearly impossible for small businesses to import directly from overseas manufacturers and suppliers. That's no longer a problem. 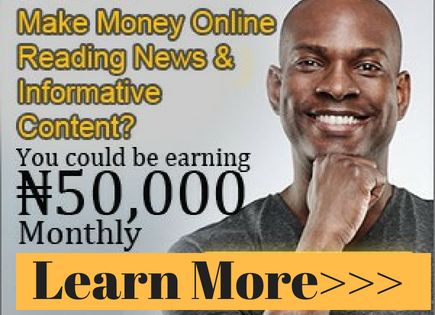 You will learn how with this ebook. I explained in details how you can make payments for goods in the comfort of your room, how you can avoid being scammed, and how you can get your money back if the supplier fails to deliver the products you paid for. As you might already know scams and fraud have been a big issue in any internet-based transactions and e-Commerce for a long time now. For instance, in the case of importation business, you may receive the products and they are fake or not exactly as the supplier described, what do you do in such situation? You will learn how in the book. How you can get a 100% refund. Some other times, you may pay for products but they are never shipped and delivered to you? So, how can you make sure that you get the EXACT products you paid for without getting scammed? All of these questions will be answered in the book. You will learn how to use the "Buyer protection" mechanism built into the payment process so you don't lose your hard earned money. This mechanism, also known as ‘Escrow’, is the same role the banks have played in the import business and international trade for a long time. The way ‘escrow’ or buyer protection works is simple. Rather than pay the seller directly, the merchant website withholds your payment until you receive the products you ordered and confirm that they are not fake/damaged. 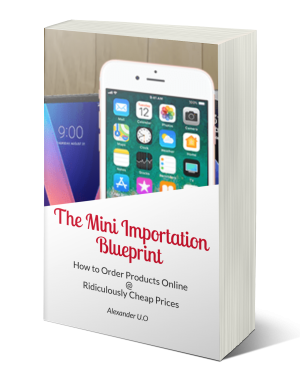 Not only did this guide teach you how to import goods at a ridiculously cheap price, I also took my time to explain how you can find buyers for your imported products, you will also learn how to do market research before importing goods that are in high demand in the market. This way buyers are already on the ground before your goods arrive. You will also learn how to sell your products online if you don't have a physical shop. In fact, you don't need a physical shop before you can go into this business. The ebook gives you all the details of how you can go about selling your products online. We can even assist you in setting up your online portal where you can sell your products. 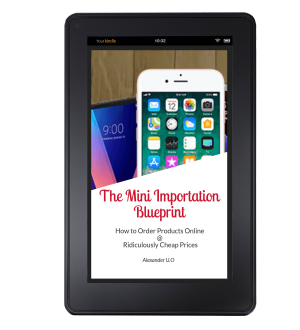 How Much is The Mini Importation Guide Ebook? A lot of people will charge as high as NGN100,000 to teach you the secrets you're going to learn in this mini importation ebook, and as a matter of fact what they will teach is nothing to compare with what you're going to learn here. If I ask you to pay NGN10,000, I will be justified because the information is worth more than that. But I won't. You only need to pay a token of NGN2,999. Yes, you got me right, just a token of NGN2,999 with all the added bonus you will receive. 1. You Will Sell Your Imported Goods on My E-commerce Site for One Month: Yes, you got me right. I run an e-commerce website where I sell my imported goods. You can check the website out here: http://www.delightshop.com.ng/. You will create an account on the site and sell your products there free of charge for one month. After the first one month before you start paying. 2. I will create a Facebook Page for you free of charge: I am a web developer myself, if you buy this mini importation guide, I will help you create a Facebook page where you can market your imported goods.